A PCORI-funded study compares the outcomes of treatment with targeted versus broader-spectrum bacteria-killing medications. 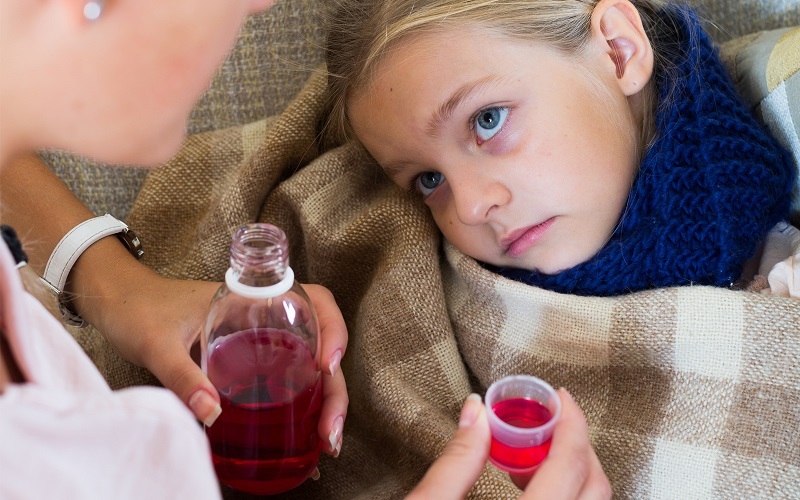 PCORI-funded researchers, in an article published in December 2017 in JAMA, say broad-spectrum antibiotics appear no more effective than narrow-spectrum antibiotics in treating children’s respiratory infections. Broad-spectrum antibiotics may even increase children’s chance of harmful side effects, the team found. Broad-spectrum antibiotics target a wider range of bacteria than narrow-spectrum drugs. The findings, reported by Jeffrey Gerber, MD, PhD, of the Children’s Hospital of Philadelphia, and colleagues, should help parents and pediatricians make better-informed decisions about which medicine to choose to treat the common problems of ear infections, strep throat, and sinus infections. When Darlene Barkman would take her daughter to the pediatrician for an earache, sore throat, or cough, she says, “I would always think, is this the strongest antibiotic you can give me? Because I really want this infection to get knocked out.” Her now-15-year-old daughter, a survivor of both leukemia and pediatric stroke, had already experienced more than her share of medical problems. Any parent can identify with Barkman’s desire to see her child get well quickly. However, the “strongest” antibiotic might not always be the best choice for treating respiratory infections. The broad-spectrum medications can lead to unnecessary side effects and their widespread use may reduce their power to fight future severe infections in all patients. “We want to use antimicrobials to treat diseases in the best way possible without creating collateral damage,” says PCORI awardee Jeffrey Gerber, MD, PhD, an infectious diseases specialist and director of the Antimicrobial Stewardship Program at the Children’s Hospital of Philadelphia. He has teamed with other researchers and healthcare stakeholders, including Barkman, in a study that interviewed several thousand parents whose children recently received antibiotic prescriptions for respiratory infections. The goal was to learn whether children with infections who get broad-spectrum antibiotics do better—or worse—than those treated with narrower-spectrum drugs. Antibiotics are by far the most common medications taken by US children; some 70 million receive prescriptions for antibiotics each year. An estimated half of children who visit a pediatrician for a respiratory infection—usually strep throat or an ear or sinus infection—come away with a prescription for an antibiotic. Today, doctors less frequently prescribe antibiotics for viral infections, which don’t respond to these medications. Most bacterial respiratory infections are caused by only a few species. Narrow-spectrum drugs target the most common of these species, and so are currently recommended by the American Academy of Pediatrics as first-line treatments. However, clinicians often prescribe broader-spectrum agents. It is unclear whether there is an advantage to either class of medication to treat infections or to reduce side effects, such as hives and diarrhea. Furthermore, with overuse of an antibiotic, bacteria become resistant, rendering the drug less useful for future disease control. “We need to preserve the broader-spectrum agents for infections that are severe or resistant to other drugs, or both,” Gerber says. Despite the guidelines, some clinicians are increasingly prescribing newer, broad-spectrum drugs, reaching for a sledgehammer when a tack hammer might do. We know that parents and pediatricians want more information to help them balance the risks and benefits of different antibiotics. Barkman and other members of the team’s family advisory council helped shape the phone survey in other ways. For example, they told the researchers to be considerate of families’ time. “You also need to make sure that families understand why you’re asking these questions,” says Barkman, a former teacher and now a family consultant at the Children’s Hospital of Philadelphia. The team has interviewed more than 3,000 parents of children who had received antibiotic prescriptions for respiratory infections. Five and 14 days after a child’s office visit, researchers are phoning parents to find out how the child is doing. The interviewers ask about symptoms and side effects such as hives or diarrhea, whether the family needed to return to the doctor for a different prescription, and whether children and parents were getting enough sleep and were back on normal daytime schedules. The team will correlate the families’ responses with the type of antibiotic prescribed. The researchers hypothesize that children who receive the broad-spectrum drugs will do no better than those who receive the narrower ones. “Potentially, some adverse effects such as diarrhea might be worse with the newer antibiotics,” Gerber says. Of course, the results may instead show that for certain infections, broad-spectrum drugs work better, or that kids receiving one type of drug may experience more hives but also miss less school. “The phone calls get us that rich, patient-centered information that you can’t get from electronic health records,” Gerber observes. Nuances in the study’s results should allow doctors and parents to make more-personalized treatment decisions based on the medical findings and what’s most important to the family. “We hope to get clear-enough data to help inform practice moving forward,” Gerber says. Goal: To find out whether children with respiratory infections who get narrow-spectrum drugs do as well as—or better than—those treated with broad-spectrum antibiotics, which can lead to troubling antibiotic resistance.